The call to wonder at the beauty of creation and in doing so giving praise to God is inherent in all faith traditions. There is also an inherent responsibility on all believers to work to protect this beautiful gift of God for future generations. We are surrounded by undeniable evidence that human activity is rapidly destroying God’s beautiful creation and the need to act is urgent. We believe that the combined spiritual resources of the faith traditions is a crucial component in guiding humanity away from its current destructive path to a more holistic and interconnected mode of living for the good of all creation. The Earth Charter is an ethical framework for building a just, sustainable, and peaceful global society in the 21st century. It is a vision of hope and a call to action. The Earth Charter is centrally concerned with the transition to sustainable ways of living and sustainable human development. Ecological integrity is one major theme. However, the Earth Charter recognizes that the goals of ecological protection, the eradication of poverty, equitable economic development, respect for human rights, democracy, and peace are interdependent and indivisible. It provides, therefore, a new, inclusive, integrated ethical framework to guide the transition to a sustainable future. The National Religious Partnership for the Environment brings together a diverse alliance of faith institutions and leaders in order to bring voice and action on behalf of caring for God’s Creation. 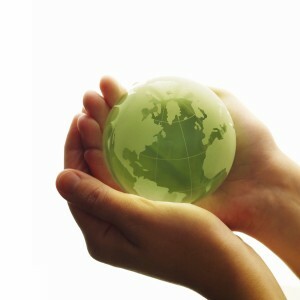 NRPE offers resources and accounts of how people of faith are acting upon God’s mandate to be stewards of God’s Earth. The FABC has many resources. Check out their website at http://www.fabc.org/index.html. Among them is Towards Responsible Stewardship of Creationz: An Asian Christian Approach by Fr Clarence Devadass, Executive Secretary, FABC-Office of Theological Concerns. “Towards Collective Action: A Buddhist View of Laudato Si“, by Jonathan S. Watts, a paper presented to the Jesuit Social Center of Tokyo located at Sophia University on 19 October 2016. Francis. 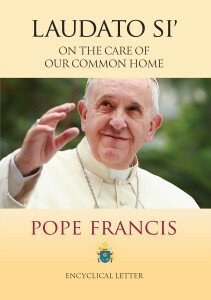 Laudato Si’: On Care for Our Common Home. Vatican: Vatican Press, 2015. Ten key Hindu teachings on the Environment by Pankaj Jain. Ten Jewish Teachings on the Environment by Rabbi Lawrence Troster. Climate Change should be a top priority for the Catholic Church if the church really believes that its mission is for the flourishing of the life of the world. 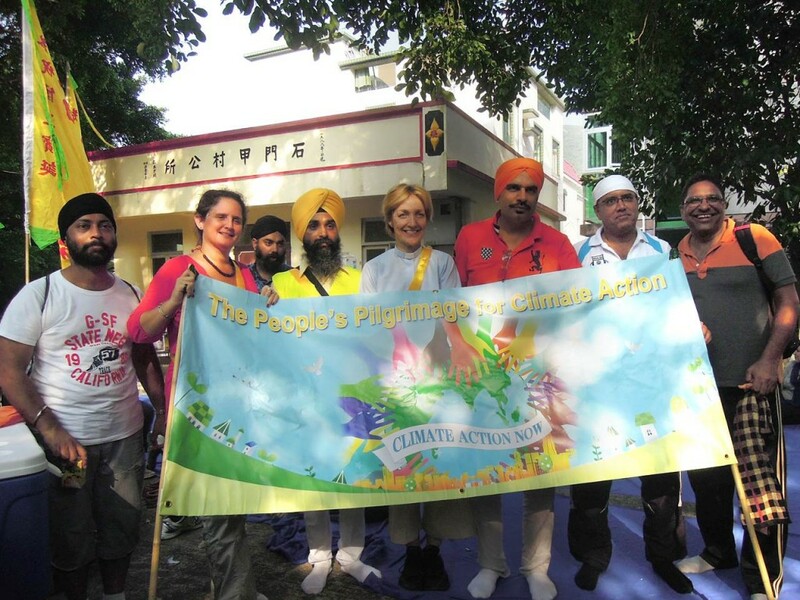 Columbans join people of other faith traditions who are already working on the issue of climate change inspired by the resources of their traditions. By working together, the potential of greater effectiveness and a wider awareness leading to joint action can be achieved. The PWR enters 2017 convinced beyond any reasonable doubt that the reality and basic causes of climate change are settled science. We are also convinced that the evidence for the danger posed by human-caused climate change is irrefutable. For all persons of good faith, 2017 must be a year of action to reduce human caused greenhouse emissions and to prepare for and address the inescapable consequences of the changes we have already imposed upon the planet. The PWR, acting with the leadership of its Climate Action Task Force, seeks to encourage and enable collective and individual action to reduce and counter the adverse impacts of human-caused climate change. The Task Force bases its mandate in the Interfaith Call to Action of October, 2015 and December, 2016. 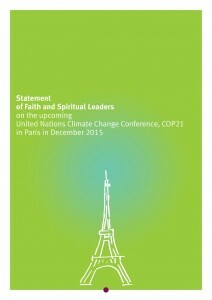 On 18 April 2016 religious and spiritual leaders delivered a statement to the United Nations on the occasion of the UN Secretary General’s high level signature ceremony for the Paris Climate Change Agreement. Superior General, Fr Kevin O’Neill is among the high level signatories in the name of the Missionary Society of Saint Columban. For details see the website: http://www.interfaithstatement2016.org/statement. The Parliament of the World’s Religions held in Salt Lake City, USA from 15th – 19th October 2015 issued an interfaith call for action on climate change. The declaration is available here: Embracing Our Common Future: An Interfaith Call to Action on Climate Change. Published in relation to the UN Framework Convention on Climate Change, 21st session Conference of the Parties (COP 21) held in Paris in 2015. 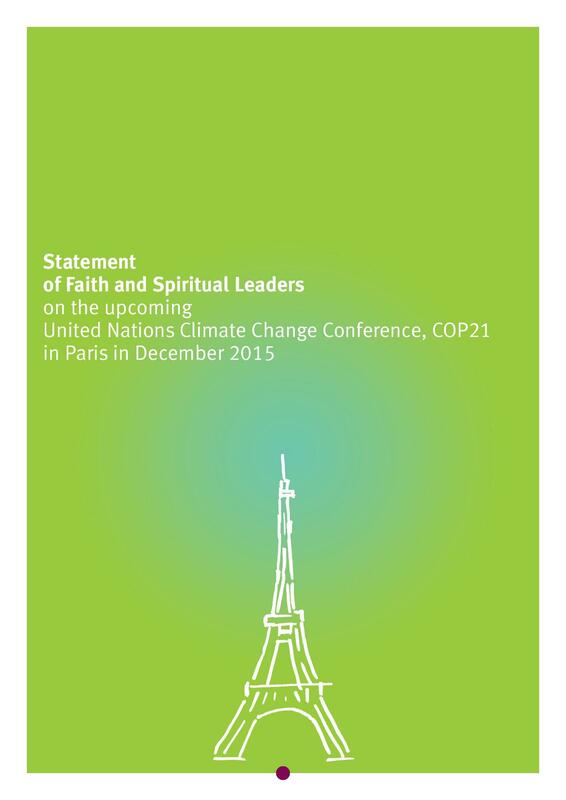 An updated Hindu Declaration on Climate Change was released on 23 November 2015. It is a global call to the 900 million Hindus living worldwide to lead lives in harmony and balance with the natural world. It also asks world leaders to find long and lasting solutions to climate change at the upcoming climate negotiations in Paris (COP21). A commentary by Damian Howard SJ from Thinking Faith on the Islamic Declaration on Global Climate Change: An Islamic Declaration on Climate Change. PDF file available for download here: An Islamic Declaration on Climate Change. We Columbans feel that human-induced climate change is the greatest challenge facing the world today affecting every aspect of life on earth. In this statement we challenge all people of good will to realize that major changes in our behaviour must occur immediately if we want to arrest the horrendous consequences already well under way. We join people of other faith traditions who are already working on the issue of climate change inspired by the resources of their traditions. By working together to help bring about an ecological conversion among people, so that life on earth as we know it is not irreversibly damaged. Time is running out and the task is urgent. Click on link below. Water is the symbol of life – without it there simply is no life! We tend to take our water supply for granted; yet almost one billion people today do not have access to clean drinking water. Our water resources are being depleted and degraded as a consequence of our agricultural and industrial use of water, deforestation and climate change, over-consumption, waste, and pollution. And while water plays such a central role in the daily life and worship of Christians, Hindus, Muslims, Buddhists and Jews alike, the fact that water is becoming so scarce on our planet means that we are not paying enough attention to what our faith traditions teach us about treasuring this precious gift of God. Let us look again at what they have to teach us. Columban priest Paul Glynn writes about the Higaonon indigenous People of Cagayan de Oro, Philippines who remind their Muslim and Christian neighbours of the importance of showing gratitude to God for this precious gift of water. They believe that it is only when we show gratitude and respect for water that the balance of nature is maintained and we are protected from calamities. See “Being Grateful for the Precious Gift of Water“. Laudato Si’: On Care for Our Common Home. Vatican: Vatican Press, 2015.